Quadrium 3 is rated 4.3 out of 5 by 10. Rated 5 out of 5 by raydog from Great game along with the new crystal aspect I love the series. 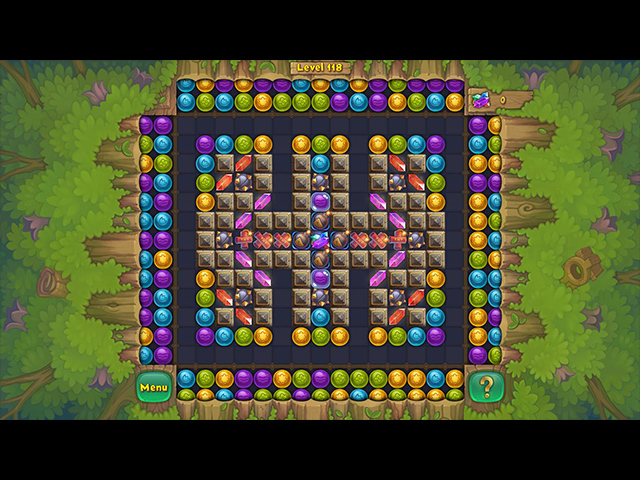 This one is a lot more challenging then the other ones and I love the crystal puzzle. I thought I had that in the bag until further into the game. I am up in the level 80 section now and it gets better and better. You really have to take a good hard look on how to get into the levels when everything is blocked - except for that one little piece. I love how you have to maneuver around the locks power ups. Love that rocket that shows up when you need it most! 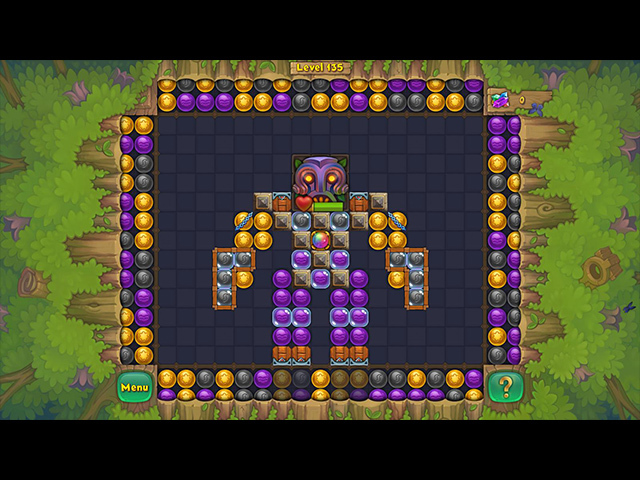 Wonderful game! Rated 5 out of 5 by Foofoob from A new challenge I'd not played the Quadrium games before, but I really enjoyed the different kind of thinking required to play this one. It's bright and colorful, and I appreciate that this wasn't 'timed' so I could dip in and out of it as I wanted. Rated 5 out of 5 by gladysschmuck from OUTSTANDING GAME!!!! As was said before, these games are better with each release. This game was outstanding! I look forward to each new release. Quadrium is one of the very few games I'd play over and over. Big thank you to the developers. Don't wait so long till the next release. Rated 5 out of 5 by oldcatlady from Quadrium 3 love the game waited a long time for one like this. 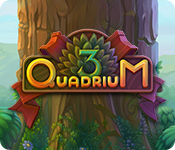 Rated 5 out of 5 by biscuitsmama from QUADRIUM III IS EXCELLENT AND SO MUCH FUN I think Quadrium is such a terrific puzzle game. Although it is listed as a Match 3 game it can be either Match 2 or 3 depending on how you set up your game. I enjoyed the first game and had a difficult time tearing myself away. Then came Quarium II and it left me flat and bored with nothing to really grab me at all. Today’s game Quadrium III is excellent and I’ve had a hard time tearing myself away all morning. Quadrium III comes with some new extras such as wooden blocks and glass baubles or shapes that need to be removed. On top of that we have crystals to collect. It is terrific how such little changes make all the difference. At this point, I’m simply going to recommend that you try Quadrium III to see if you will be as hooked as I am on this terrific game that makes you think and plan ahead. Great game. Happy Gaming! Rated 5 out of 5 by Quickie from Better and Better Loved the first two Quads (thanks to Pennmom). This one's even better. So easy to get into it and stay at it because it's mesmerizing. So far mini games are easy and new quests makes the game fun and distracting from chores such as cleaning and vacuuming! Highly recommended! Rated 2 out of 5 by bagelboy from Unique game but flawed I liked the demo so bought the game; it's an interesting variation of match 3: challenging, interesting. 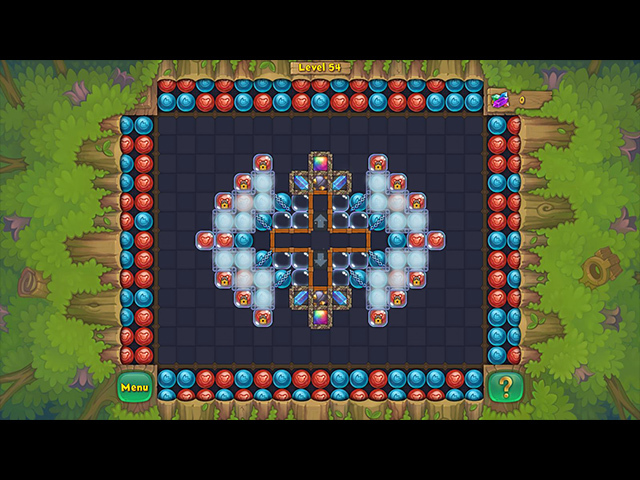 I enjoyed it until I got to level 25; I managed to eliminate all the orbs except the 2 innermost pink ones on the 2nd row and there's no help/hint or way to skip the level, so I can't go any further. Maybe someone can share the solution with me so I can continue to play.